Would you rather turn your menu into a select box for mobile devices? The Responsive Select Menu is a free plugin from SevenSpark available in the WordPress plugin repository. It’s fully compatible with both Agility and UberMenu. 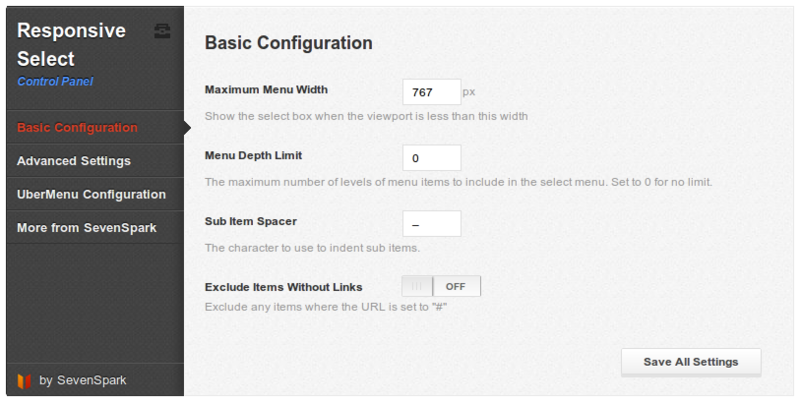 Configure how many levels you wish to include in the select menu. Set it to 1 to include only the top-level menu items. Responsive Select Menu is designed to be used with any WordPress theme that supports unordered-list-based WordPress 3 menus, and is fully compatible with Agility. Based on the excellent tutorial from Chris Coyier and CSS Tricks – many thanks!